At Kozlovsky Delay & Winter Eye Consultants, we want to help you maintain or improve your vision. Our eye doctors have the experience and expertise needed to treat a variety of problems with your eyes. Whether you need glasses or contacts or require eye surgery, call us today. We have the optometrists and ophthalmologists San Antonio residents need for their best vision. We have a team of eye doctors to diagnose and treat numerous conditions. Two of our doctors, Dr. Kozlovsky and Dr. Winter, are board-certified ophthalmologists, which indicates they have medical degrees and can perform surgeries. 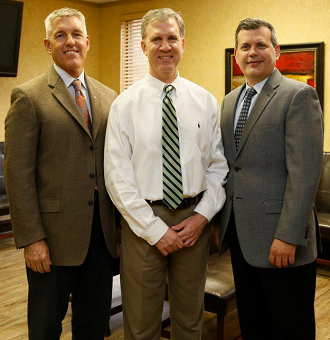 Our other doctors, Dr. Delay, and Dr. Camacho are board-certified optometrists. An optometrist can diagnose and treat several eye conditions including glaucoma, cataracts, and diabetes complications. Discover more about our doctors, their certifications and education on our website. Our services include vision exams for a prescription for glasses or contacts. Comprehensive medical eye exams for changes in your eyes that could indicate any variety of growing problems. We care about both your vision and your eye health. Regular eye exams will give us the chance to help you care for both and get treatment if necessary. We offer special exams for contact lens wearers to determine the perfect pair for your vision needs and eye shape. People with conditions that require hard-to-fit contacts won't find it difficult to get the lenses they need after a visit to our clinic. You can finally get rid of your glasses for good and make the switch to contact lenses. If you need corrective lenses, you can get them all in one stop. Schedule an eye exam with our eye doctors that San Antonio residents trust. Then, select your eyeglasses frames from our wide variety. We have frames that make you look great, no matter what shape your face is. If you're concerned about choosing the right frames for your appearance, ask one of our eyewear professionals. For eye surgery, we have optometry and ophthalmology experts with the training to conduct the procedure you need for conditions such as cataract, glaucoma, pterygium, and chalazion. Should you want LASIK surgery, we can do a pre-procedure consultation to see whether you're a candidate. If you want an optometrist or opthamologist San Antonio citizens can rely on for expert advice and quality care, visit us at Kozlovsky Delay & Winter Eye Consultants. Call us at (210) 377-0350. We can't wait to see you fulfill your optometry or ophthalmology needs.